What is the most important part of your dog? The answer of course is every part. Each part whether it’s a leg an ear or a tail has an important function and although a dog can survive without a tail or even without a leg, it’s far better if all the parts are present and correct and working in harmony! 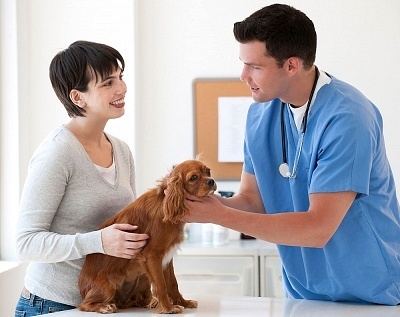 Correct healthcare for dogs will ensure all your dog’s body parts and organs are working in harmony! Check your dog’s coat. Now different breeds are going to have different types of coats of course but does it look shiny? Is it clean and does it feel smooth? And, just as important, does it smell fresh? Take a look at your dog’s skin underneath his coat (much easier in a short haired breed J) Depending on the type of dog you have his skin might be pink (for light colored dogs) to dark brown or black for dark haired dogs. Some even have spotty skin. Yes that’s right for spotted dogs with different colored fur. The skin should be free of flakiness, redness or infection. Oh, by the way, do you know how dogs sweat? It’s not through their skin but through the pads of their feet! Dogs also keep cool by panting. Teeth are also a good indicator of a dog’s state of health. A dog’s adult teeth will appear at around six months of age. A healthy dog will have straight white teeth. Stained teeth or teeth covered with plaque can affect your dogs health. Gums and tongue should be a nice shade of pink. Ears should be clean inside. Some breeds with large ears that flop over will be more prone to disease and infection. Your dog’s eyes should be clear and bright. And of course, last but not least, the nose — this is something most of us already know. A dog’s nose should be moist and clean. These is indeed very basic healthcare for dogs. We’ll go into more detail and look at how to heal any health issues your dog may have in other pages. This checklist will also come in handy when you’re looking at a dog to buy. It doesn’t take long to perform this quick healthcare for dogs check and it probably should be done from time to time to ensure your dog remains in peak condition. Healthcare for dogs 101 is a superb post, I found your site researching google for a related theme and came to this. I couldnt find to much alternative details on this piece of writing, so it was good to find this one. I have a 2 1/2 year old Chocolate LabxHusky. She has been losing her fur and looks thinner, but I think it might because she has lost alot of her down. I am starting to think worms but not sure. Very usefull article, many health issues with our pets relate to their nutrition, Canine Health 101 aims to teach people the best way to keep their dog healthy for longer, please checkout our blog. “Healthcare For Dogs 101” was indeed a terrific post.